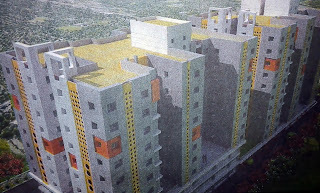 Buy New Flats Lauhati, Rajarhat, Kolkata NITU Developers Charkanya new flat price rate costs charges 1 BHK Flat 2 BHK 3 BHK Flat Rooms size area Charkanya flats booking online, Lauhati, Rajarhat, Kolkata Charkanya Buy Flat details of Charkanya Lauhati, Rajarhat, Kolkata housing project, Property & Real Estate information, 1BHK 2 BHK Flat Size Price & Facilities of Charkanya Flats in Lauhati, Rajarhat, Kolkata. Charkanya at Lauhati, Rajarhat, Kolkata has given the opportunity to the people of Kolkata and across Bengal to buy new flat at Lauhati, Rajarhat, Kolkata of NITU Developers Real Estate Company. Those who are looking for New Property / Flat / House nearby Lauhati, Hatiara, Rajarhat, New Town areas of Eastern Kolkata at cheap price rate; can now contact the head office of NITU Developers to book new flat of Charkanya, Lauhati, Rajarhat, Kolkata. 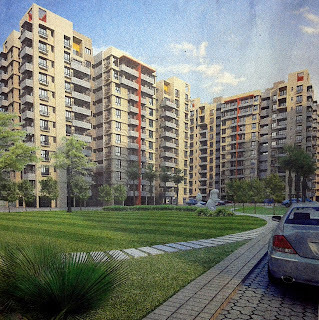 Let’s check out more details on Charkanya, Lauhati, Rajarhat, Kolkata. • Features Facilities & Advantages of Charkanya Housing Project, Lauhati, Rajarhat, Kolkata: - Jogging Track, Lift Service, Swimming Pool, Lush green landscaped lawn, community hall, gymnasium, Badminton Court, children’s play area, CCTV for Security reasons, Intercom for security safety, 24-hours water supply, 24-hours power backups, and many other common facilities are available at Charkanya, Lauhati, Rajarhat, Kolkata Housing Apartments of NITU Developers. 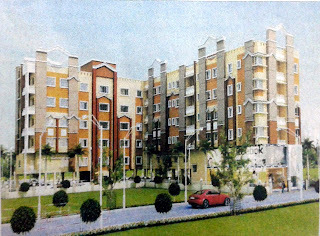 • Charkanya Lauhati, Rajarhat, Kolkata Flat Size, Price / Rate / Costs / Charges: - There are several types of flats are available at Charkanya like 1-BHK flat, 2-BHK flat, 3-BHK flat etc and the Charkanya Flat price at Lauhati, Rajarhat, Kolkata are varies depending on the Flat Size. 1 BHK Flat price 13.25 Lac, 2 BHK Flat Price 14.70 lacs and 3 BHK Flat price 19.30 Lacs at Charkanya Residential Complex of Lauhati, Kolkata. Finance and Bank Loan facility is available at Charkanya Housing Project for the buyers. 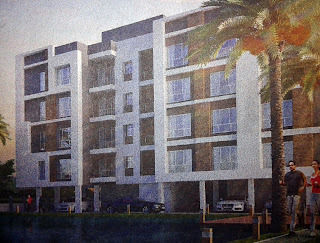 • Charkanya Housing Project Site Address / Location: - Lauhati, Rajarhat, North 24-Parganas, Kolkata-135. Charkanya Residential Project is just 4Kms from New Town, 8 Kms from City Centre-II (CC2), 10Kms from Dumdum Airport and 5Kms from Tata Cancer Hospital. • Charkanya Lauhati, Rajarhat, Kolkata Real Estate Project Phone contact number: - 7044232855 / 9748458356. • Charkanya Housing Complex of Lauhati (Rajarhat, Kolkata) is developed by NITU Developers along with Marketing Partner Avantage and Architect Prakalpa. • Flat Booking Process at Charkanya, Lauhati, Rajarhat, Kolkata: - To book your dream home at Charkanya Housing project, please contact over phone at 7044232855 / 9748458356 number or simply visit the Charkanya Residential Project Site at Lauhati. It is recommended to the peoples, who want to buy flats at Rajarhat, Kolkata (or nearby areas like Hatiara, Lauhati, Chinar Park, New Town, CC2, Baguiati, Rajarhat), to contact NITU Developers as soon as possible to fill-out new flat booking forms of Charkanya of Lauhati, Rajarhat, Kolkata or to know whether any discount / offer is going on new Charkanya flat prices at Lauhati, Rajarhat, Kolkata. Mohan Towers Beliaghata, Kolkata Flat Size Price & Facility Details - Buy New Flats of Parasrampuria Hotels Pvt. 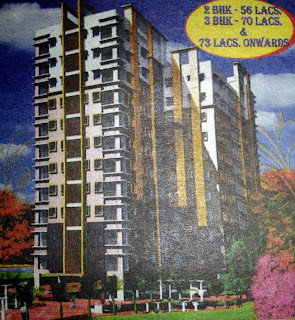 Ltd.
Buy New Flats Beliaghata, Kolkata Parasrampuria Hotels Pvt. Ltd. Mohan Towers new flat price rate costs charges 1 BHK Flat 2 BHK 3 BHK Flat Rooms size area Mohan Towers flats booking online, Beliaghata, Kolkata Mohan Towers Buy Flat details of Mohan Towers Beliaghata, Kolkata housing project, Property & Real Estate information, 1BHK 2 BHK Flat Size Price & Facilities of Mohan Towers Flats in Beliaghata, Kolkata. Mohan Towers at Beliaghata, Kolkata has given the opportunity to the people of Kolkata and across Bengal to buy new flat at Beliaghata, Kolkata of Parasrampuria Hotels Pvt. Ltd. Real Estate Company. Those who are looking for New Property / Flat / House nearby Sealdah, Beleghata, Moulali, CIT Road, Phoolbagan, Kankurgachi areas of Kolkata at cheap price rate; can now contact the head office of Parasrampuria Hotels Pvt. Ltd. to book new flat of Mohan Towers, Beliaghata, Kolkata. Let’s check out more details on Mohan Towers, Beliaghata, Kolkata. 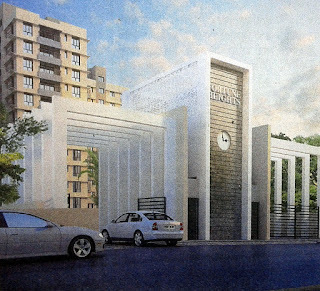 • Features Facilities & Advantages of Mohan Towers Housing Project, Beliaghata, Kolkata: - Jogging Track, Lift Service, Swimming Pool, Lush green landscaped lawn, community hall, gymnasium, children’s play area, CCTV for Security reasons, Intercom for security safety, 24-hours water supply, 24-hours power backups, and many other common facilities are available at Mohan Towers, Beliaghata, Kolkata Housing Apartments of Parasrampuria Hotels Pvt. Ltd..
• Mohan Towers Beliaghata, Kolkata Flat Size, Price / Rate / Costs / Charges: - There are several types of flats are available at Mohan Towers like 1-BHK flat, 2-BHK flat, 3-BHK flat etc and the Mohan Towers Flat price at Beliaghata, Kolkata are varies depending on the Flat Size. 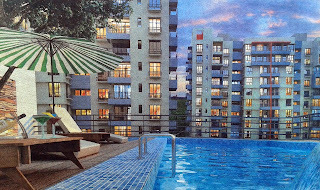 2 BHK Flat price 56 Lacs and 3 BHK Apartment price 70-73 Lacs on-wards at Mohan Towers [G+11], Beleghata, Kolkata. Finance and Bank Loan facility is available at Mohan Towers Housing Project for the buyers. 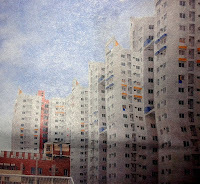 • Mohan Towers Housing Project Site Address / Location: - Beliaghata Rashmoni Bazar, Kolkata. • Parasrampuria Hotels Pvt. 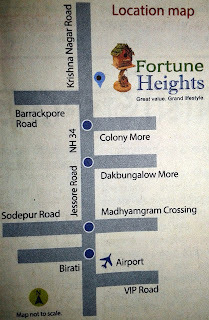 Ltd. Head Office Address: - 32A Ramkrishna Samadhi Road, Kolkata-54. • Parasrampuria Hotels Pvt. Ltd. Head Office Phone Contact Number: - 033-4008-7665 / 9874337469. • Flat Booking Process at Mohan Towers, Beliaghata, Kolkata: - Only few Flats are available at Mohan Towers Highrise Luxury Complex with all modern amenities in Beliaghata Rashmoni Bazar. Ready to move condition. For booking contact Developer’s Booking Office (Address mentioned above) or contact on 9874337469. It is recommended to the peoples, who want to buy flats at Beliaghata, Kolkata (or nearby areas like Sealdah Railway Station, Beleghata, Moulali, CIT Road, Phoolbagan, Kankurgachi), to contact Parasrampuria Hotels Pvt. Ltd. as soon as possible to fill-out new flat booking forms of Mohan Towers of Beliaghata, Kolkata or to know whether any discount / offer is going on new Mohan Towers flat prices at Beliaghata, Kolkata. 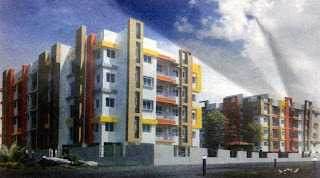 Buy New Flats Baruipur, Kolkata Arrjavv & NK Realtors Sonar Kella new flat price rate costs charges 2 BHK 3 BHK Flat Rooms size area Sonar Kella flats booking online, Baruipur, Kolkata Sonar Kella Buy Flat details of Sonar Kella Baruipur, Kolkata housing project, Property & Real Estate information, 2 BHK Flat Size Price & Facilities of Sonar Kella Flats in Baruipur, Kolkata. Sonar Kella at Baruipur, Kolkata has given the opportunity to the people of Kolkata and across Bengal to buy new flat at Baruipur, Kolkata of Arrjavv & NK Realtors Real Estate Company. Those who are looking for New Property / Flat / House nearby Sonarpur, Narendrapur Ramakrishna Mission, Subhasgram, Mallickpur areas of South Kolkata (South 24-Parganas) at cheap price rate; can now contact the head office of Arrjavv & NK Realtors to book new flat of Sonar Kella, Baruipur, Kolkata. Let’s check out more details on Sonar Kella, Baruipur, Kolkata. • Features Facilities & Advantages of Sonar Kella Housing Project, Baruipur, Kolkata: - Library, Multi Gymnasium, Jogger’s Track, Children’s Play Area, Swimming Pool, AC Community Hall, Festival Posium, Utility Store, Kala Kendra, Lily Pond, CCTV for Security reasons, Intercom phone for security safety, 24-hours water supply, 24-hours power backups, and many other common facilities are available at Sonar Kella, Baruipur, Kolkata Housing Apartments of Arrjavv & NK Realtors. • Sonar Kella Baruipur, Kolkata Flat Size, Price / Rate / Costs / Charges: - There are several types of flats are available at Sonar Kella like 2-BHK flat, 3-BHK flat etc and the Sonar Kella Flat price at Baruipur, Kolkata are varies depending on the Flat Size. 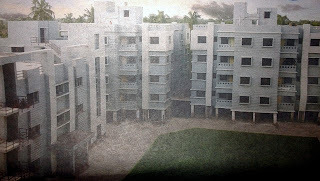 2-3 BHK flat (apartment) price of Arrjavv Sonar Kella Baruipur Residential Complex starts only at Rs.19 Lakhs. Finance and Bank Loan facility is available at Sonar Kella Housing Project for the buyers. • Sonar Kella Housing Project Site Address / Location: - NSC Bose Road, Baruipur, South 24-Pgs [just 500m from the upcoming Southern Bypass]. • Sonar Kella Baruipur, Kolkata Real Estate Project Phone contact number: - 033-4040-1010 / 033-6620-1010. • Arrjavv & NK Realtors website: - www.sonarkella.com. • Flat Booking Process at Sonar Kella, Baruipur, Kolkata: - For further details on Sonar Kella Housing Project, Baruipur (Kolkata) please visit www.sonarkella.com. It is recommended to the peoples, who want to buy flats at Baruipur, Kolkata (or nearby areas like Narendrapur Mission, Subhasgram, Mallickpur, Harinavi, Baruipur), to contact Arrjavv & NK Realtors as soon as possible to fill-out new flat booking forms of Sonar Kella of Baruipur, Kolkata or to know whether any discount / offer is going on new Sonar Kella flat prices at Baruipur, Kolkata.